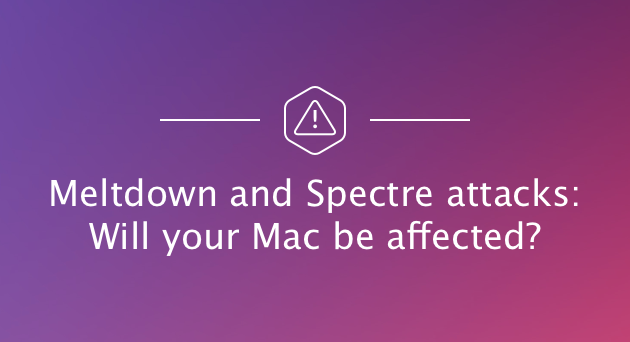 Will your Mac be affected by Meltdown and Spectre security flaw? Intel chip security flaw: Will your Mac be affected? The beginning of 2018 has had the technology world in frenzy. Two major processor vulnerabilities, namely Spectre and Meltdown have been discovered. Experts claim this current bug is unlike any security breach we’ve seen in the past because it affects hardware. This effectively means virtually every Intel processor is under a threat. The vulnerabilities may target all Mac computers as well as Windows PC’s and mobile devices — everything that carries an Intel processor inside. Why is Intel processor vulnerability a problem? What made Meltdown and Spectre possible (and so much troubling) is the very architecture of any modern processor. The core of the processor stores the so-called kernel data, which regular apps and processes normally shouldn’t have access to. Or so everybody thought. It appears Meltdown and Spectre exploit a breach in a hardware security allowing a potential attacker app to break inside the "processor gate," read its memory, and even steal your passwords. 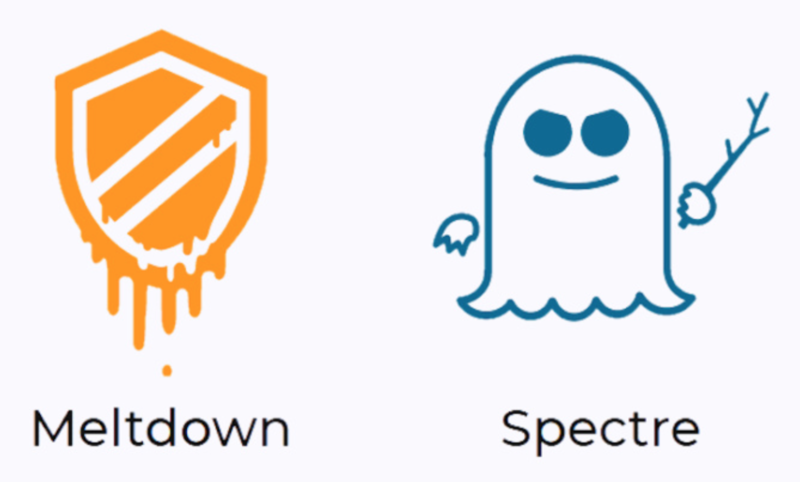 How Spectre and Meltdown are different? The Meltdown attack gives way for a malicious app to access the protected memory of OS itself and other applications. While Spectre flaw, acting in a more shadowy way, can make any program reveal its inner data which is much trickier to patch. Brian Krzanich, Intel CEO promised to fix the Intel chip security flaw by the end of January 2018. Is my High Sierra 10.13.2 affected? As soon as first reports came out, most technology players started working feverishly on patches for their devices. To Apple’s credit, it took just a few days for the company to release the Supplemental Update to High Sierra 10.13.2 which aims to seal the security hole. But don’t expect a happy final too quickly. As hardware tests have shown, the patches to macOS High Sierra seriously affect the OS performance, according to some estimates, slowing your Mac down by 10-30 percent. What did Apple do about this? On January 8th, Apple addressed Intel chip vulnerability releasing a patch for Safari 11.0.2. These mitigations also affect system productivity in a negative way. Intel also admitted this in their statement on the issue, and their verdict you probably won’t like: random reboots and driver incompatibilities on older processors are possible. I feel my Mac got slow, how do I speed it up? Has your performance been hit on macOS High Sierra? First off, you should follow Apple’s advice and install the recommended High Sierra Supplemental Update via the AppStore. Next, you can try to gain back some performance for your Mac, by doing a bit of tune-up under the hood. You can significantly speed up your Mac’s booting by disabling some apps in startup catalogue. According to MacPaw engineers, adding just 5 extra Login items slows down average boot time by 20 seconds. 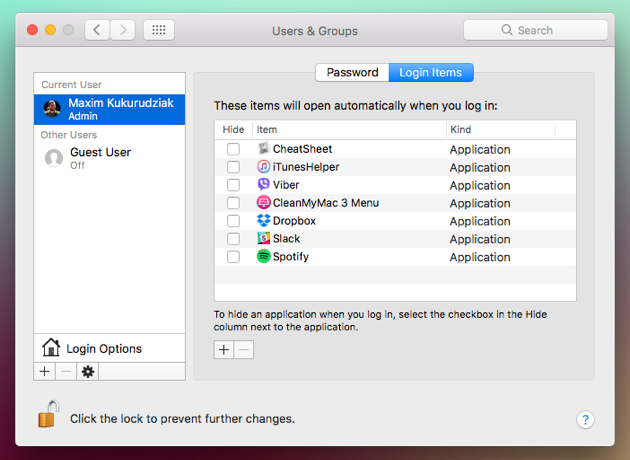 Go to System Preferences > Users & Groups and select your username. Next, click on Login Items and use “—“ button to switch off extra apps you don’t need. Not only can you win back some drive space (which also translates into speed), you will secure your macOS from unwanted apps meddling with your sensitive data. But how do you delete an app safely? Apparently, dragging it to the Trash isn’t the best option — some leftover parts and pieces are still left on your drive. See our easy guide on “How to UnInstall Apps on a Mac.” You’ll learn the manual way and the easy way. Browser add-ons are potential gates to run malicious scripts on your Mac. While no Meltdown or Spectre attack has yet been discovered “in the wild”, your browser will surely be one of their entry points. This tool (don’t confuse it with the notorious MacKeeper software) has a couple of handy Mac-optimizing utilities. 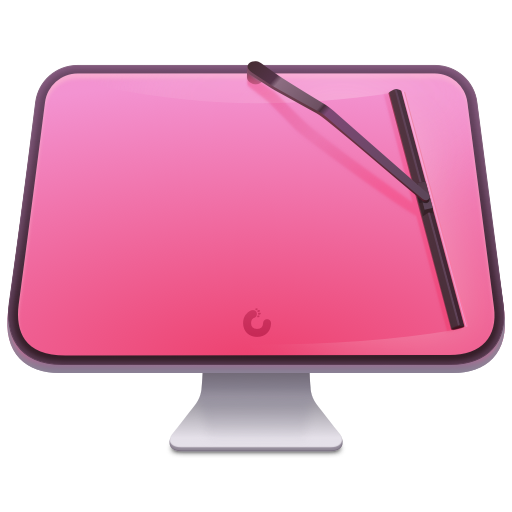 Having tested it for a while, it does improve the performance of macOS and cleans junk in large amounts — system junk, large hidden files, etc. One of this app’s greatest features that often goes unnoticed is its maintenance scripts for Mac speedup. This feature reindexes certain databases inside your macOS and makes your Mac faster to respond and perform. 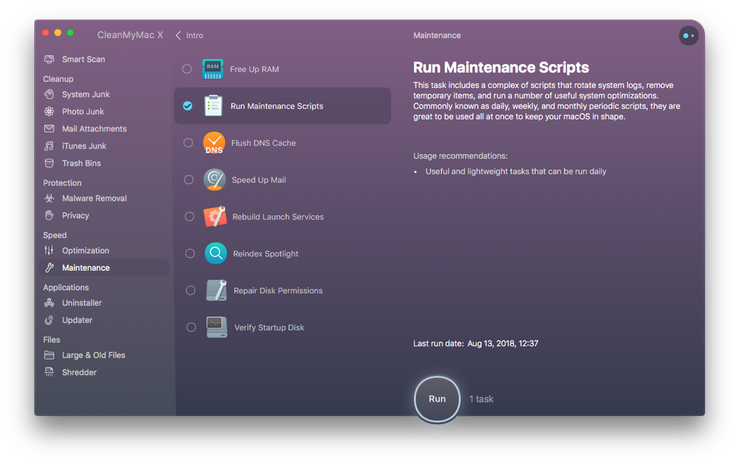 So, download CleanMyMac, open the Maintenance tab and click Run Maintenance Scripts. Hope this article makes your Mac a bit snappier in response to Meltdown and Spectre security flaws. Want more tips on Mac’s health — stay tuned!